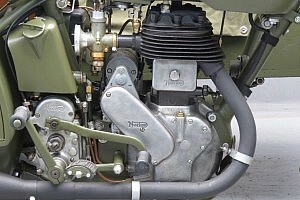 The model name Big Four was used from 1907 till 1954, when production of all side valve Nortons stopped. The model was mainly designed as a strong and reliable sidecar machine: in WW 1 many were supplied to the Russian army, and in world war II the further developed Big Four did excellent service in the British army. The 82 x 120 mm engine was very reliable and had lots of bottom power. The compression ratio was a relatively low 4.8 : 1. 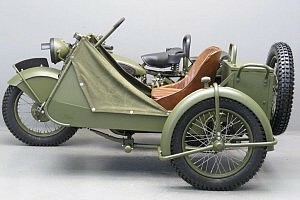 The model name originated from the “ 4 HP” designation it got in its early years. 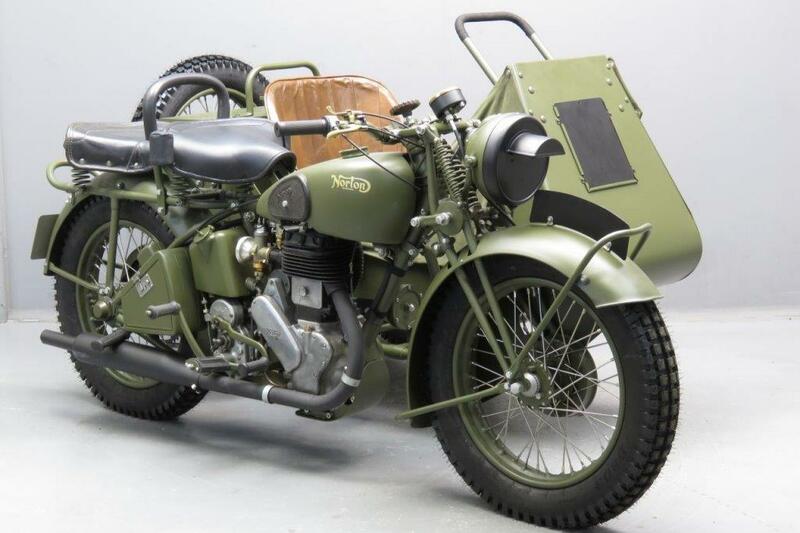 Approximately 4,700 of the nearly 100,000 military bikes made by Norton during WW2 were Big 4 sidecar outfits. 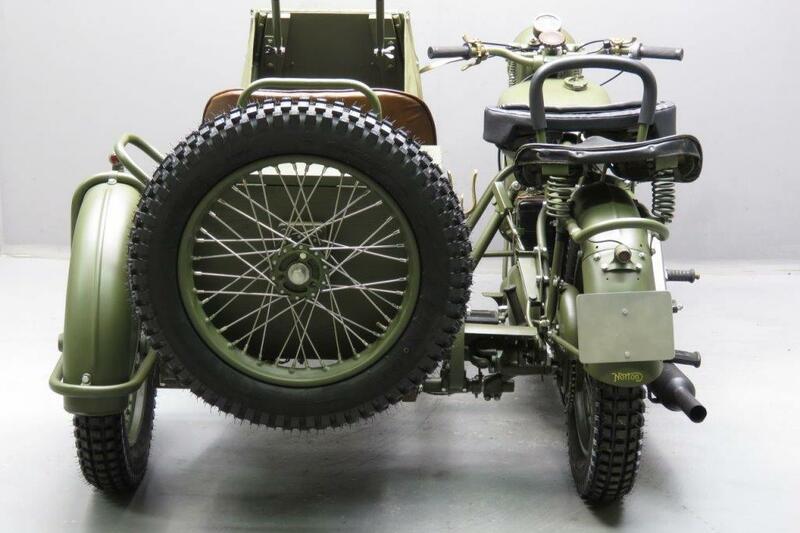 Designed to carry two or three men plus their fighting equipment over very rough terrain, the Big 4 was used for reconnaissance and carrying loads of ammunition to the front line troops. 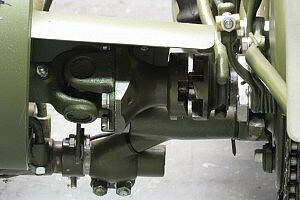 The simple design also meant it was easy to maintain in the field. 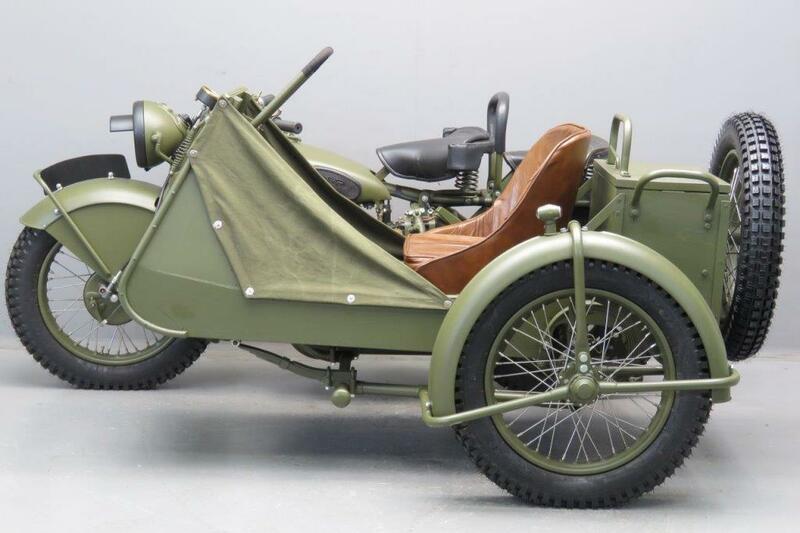 The WD Big 4 was a development of a prewar trials outfit with a sidecar wheel coupled to the motorcycle rear wheel through a dog clutch and drive shaft. 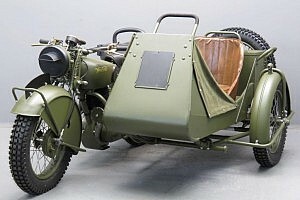 The sidecar was unarmoured, with thin sheet metal on the front of the sidecar and there was no suspension in the rear of the heavy duty frame. The sidecar was mounted on four leaf springs, and had two friction disc shock absorbers at the back. The Big Four was eventually replaced by the Ford GP or the Willys Jeep in 1941. The Big 4 could be equipped with a Bren gun or a 3 inch mortar. 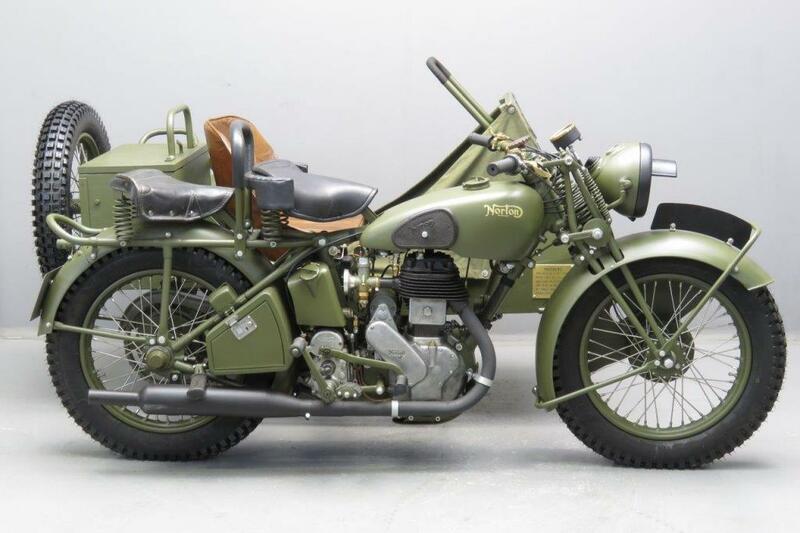 This extremely rare machine has been restored with care. Under certain conditions a deactivated Bren gun can be made available at extra costs.